Brussels musical export turned recent Montreal resident, Apashe, has been in the business of electronic music since the early 2000s, with an educational background in electroacoustics, professional experience in sound design, and a keen knowledge for navigating both digital and analog hardware. Using his breakcore/Frenchcore roots, Apashe has concocted a unique style beaming with gritty bass lines and laced with hip-hop, neurofunk and electro influences. 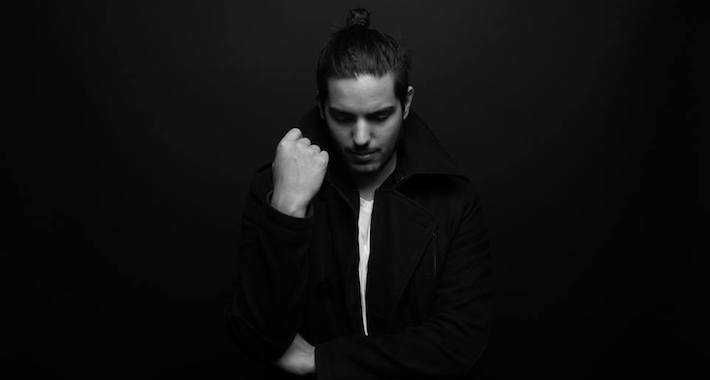 His 2012 Contamination EP firmly established Apashe as a serious up-and-comer in the bass music scene, as his productions have since garnered support from an eclectic roster of artists, such as Major Lazer, Afrojack, Excision, Flosstradamus and Koan Sound. Having been exclusively signed to Kannibalen Records since December 2011, Apashe recently released his 11-track debut LP through the label entitled Copter Boy. Copter Boy proves that Apashe is a prolific sculptor of electronic sounds, as the LP boasts a wide range of styles, sounds, emotions and inspirations, all expertly crafted by the young producer. Purchase or stream Apashe’s Copter Boy LP here.